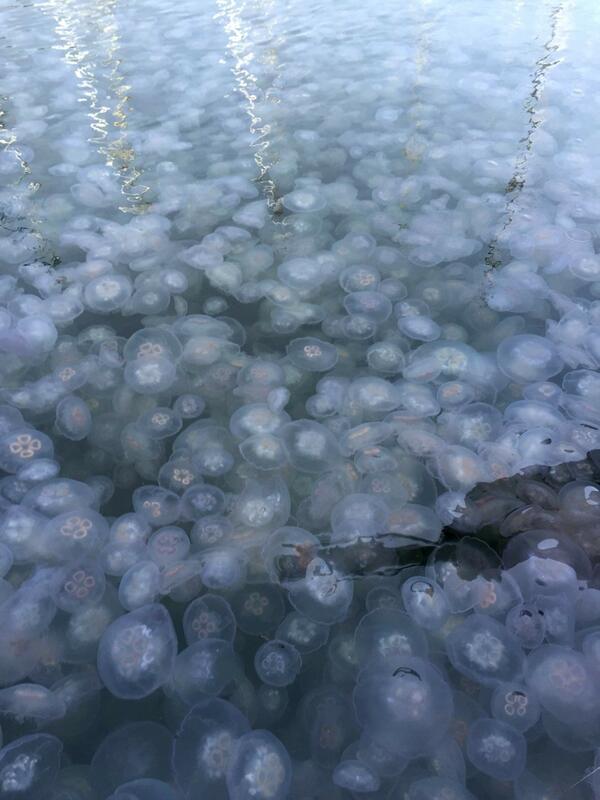 Washington local Morgan Bubel spotted this stunning smack of moon jellies – yes, that is the collective noun for jellyfish – on the docks of Port Orchard this week. 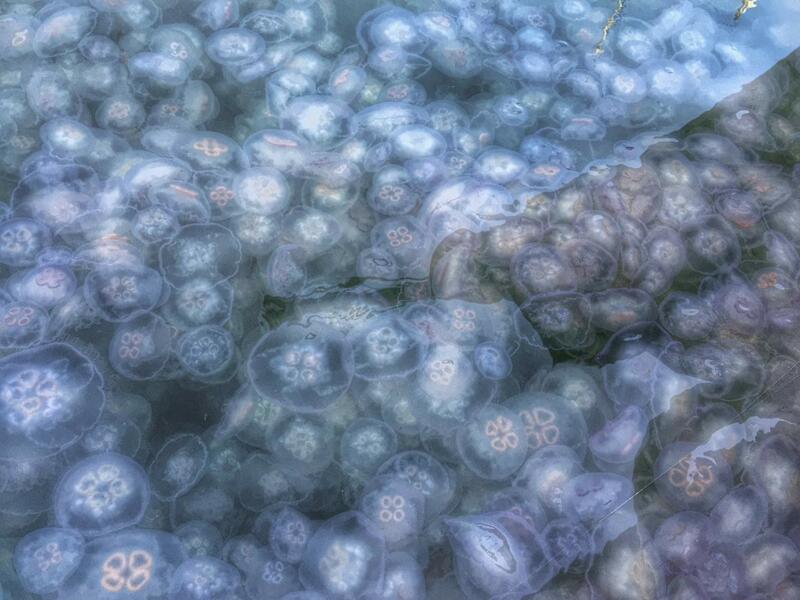 Though some media has sounded the alarm about the influx of the species, the scientists at JellyWatch confirm it's no reason to panic. "All in all the bloom is pretty normal for that area," they say. "The polyps live well in calm water under docks, and [though] they strobilate (make jellyfish) faster at higher temperatures, the jellies live shorter lives when it is warmer, so there are trade offs." The JellyWatch sighting database, known as JEDI (win! ), was set up to help track jelly movements and to unravel the relationship between these stunning invertebrates and climate change. Almost completely transparent, moon jellies are made visible by the four-leaf clover shape on their bell, which is made by their four rings of gonads. You can see how sea turtles and sunfish would confuse the floating prey for plastic bags – a reminder to all of us to be careful with our waste! 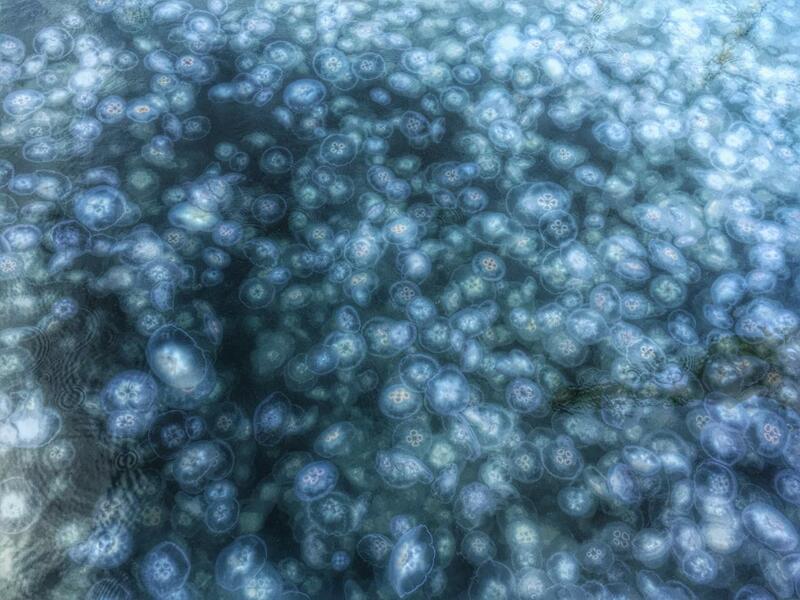 Have you seen a jelly bloom in your area? Help the JellyWatch Jedis track its movements by subitting a sighting! Why did a great white shark REALLY charge these cage divers?